Dr. med. Christian Fehring, M.D., Dr. med. Peter May, M.D. and Dr. med. Torsten Stallmann, M.D. 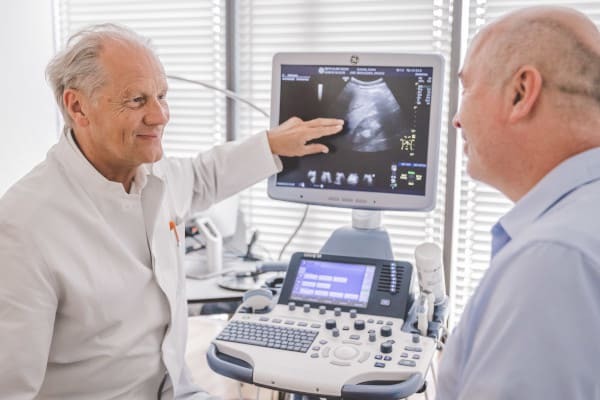 specialize in the diagnostics and therapy of diseases of the internal organs and the cardiovascular system, blood vessels and respiratory organs. 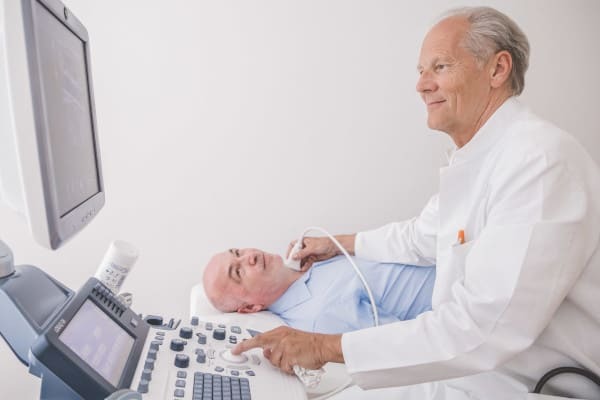 They employ non-invasive examination procedures for you like ultrasound, ECG (electrocardiography), pulmonary (lung) function test, blood pressure measurement and minimally invasive procedures like gastroscopy (endoscopic examination of the stomach) or colonoscopy (endoscopic examination of the bowel). Apart from drug therapy, they are also able to remove colorectal polyps during a colonoscopy or treat diseases with chiropractic (manual medicine) or procedures of natural medicine.